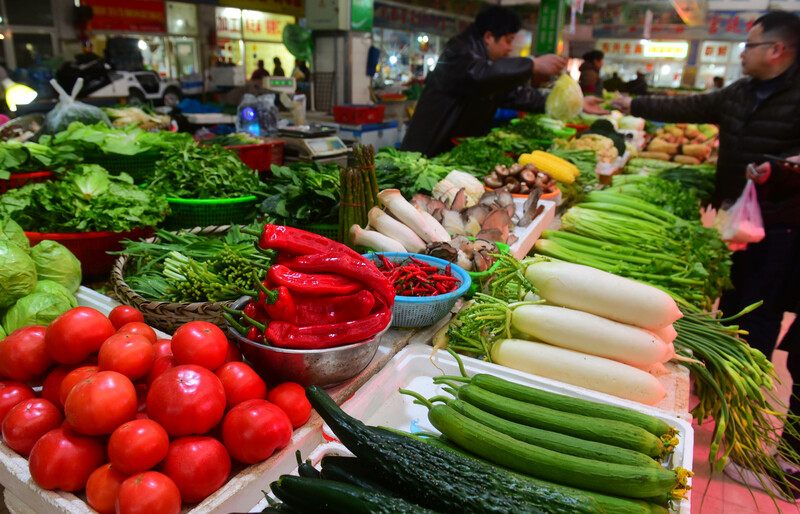 BEIJING, April 11 (Xinhua) -- With the consumer prices rebounding solidly in March and producer prices notching its first acceleration in nine months, market fear over deflation risks of the Chinese economy has been largely abated. 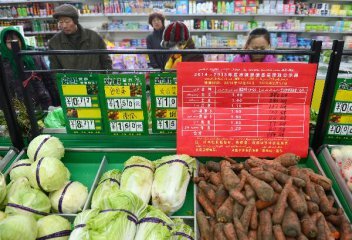 As there is no worry about high inflation risk, analysts said China's monetary policy will remain unchanged, and there is still much room for the country's central bank to manoeuver its monetary tools. 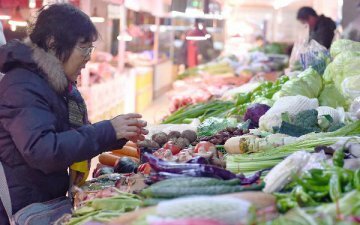 The latest data from the National Bureau of Statistics (NBS) showed China's consumer price index (CPI), a main gauge of inflation, rose 2.3 percent year on year in March, compared with 1.5-percent growth in February. Food prices climbed 4.1 percent year on year, up from 0.7 percent in February. 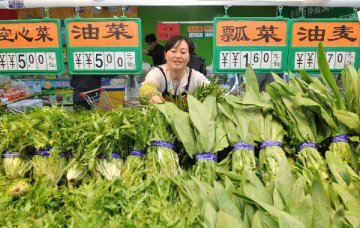 Due to low vegetable yields in spring and cold rainy weather, prices of fresh vegetables posted a fast growth of 16.2 percent year on year in March, contributing 0.42 percentage points, the highest portion, to the year-on-year CPI growth, the NBS data showed. Asian financial service group Nomura paid particular attention to the pork prices in its analysis. "Pork prices are set to become a major source of CPI inflation this year as the stock of hog stocks and breeding sows have fallen to historically low levels," said the Nomura. The growth of the pork price rebounded after declining for 25 consecutive months, rising 5.1 percent year on year in March, the NBS data showed. On a month-on-month basis, pork prices moderately went up 1.2 percent on average nationwide, as outbreaks of African swine fever were gradually contained, according to the NBS. However, the rebound of the CPI will not much affect the easing bias of the central bank as the figure remains below the government's 2019 target of 3 percent and the acceleration of CPI inflation comes mainly from the pork prices rather than a general rise in all fields, Nomura said. In a breakdown, non-food prices gained 1.8 percent, 0.1 percentage points higher than that in February. 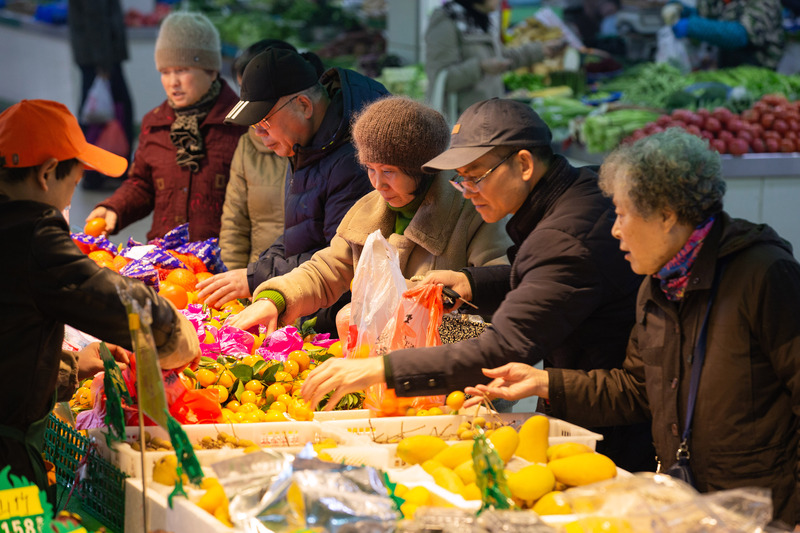 Gasoline and diesel prices went up 3.6 percent and 4 percent respectively, while prices of agency services, plane tickets and hotel accommodation were dragged down by declining travel demand in comparison with February when there was a Spring Festival travel rush. 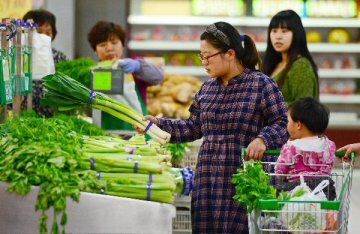 With food and energy prices deducted, core CPI growth remained unchanged from February at 1.8 percent, Nomura noted. 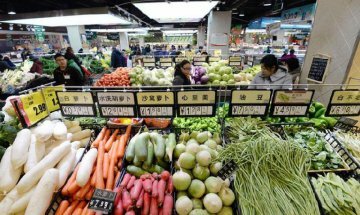 Thursday's data also showed China's producer price index (PPI), which measures costs of goods at the factory gate, rose 0.4 percent year on year in March, picking up from the 0.1-percent flat growth in February. 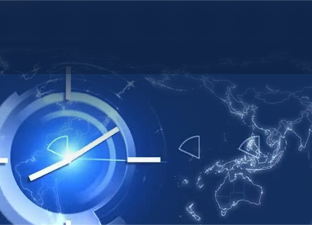 This marked the first acceleration in PPI growth since June 2018, with the market fear over deflation risks largely abated, according to an analysis of the Bank of Communications. On a month-on-month basis, the index rose 0.1 percent in March but contracted 0.1 percent in February. Nomura said that global oil price increases were likely a big driver of the rise in China's PPI inflation. Analysts with the CITIC Securities Co. Ltd. expected the PPI to continue expanding in April on the low-base effect. 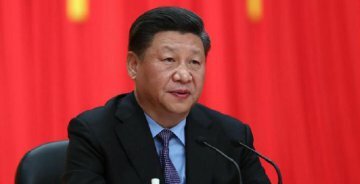 Considering the high producer price base last year and China's reducing VAT rates, however, the PPI may contract in May and June of 2019, they said.